A dazzling display of shining style can be found in these stardust and diamond-cut beads. Stardust beads sparkle as if covered by a fine coat of glitter thanks to the textured coating on the surface of each bead. Precision diamond cuts also add texture to the surface of a bead, bringing a beautiful gleam for your jewelry designs. Shop for stardust, diamond-cut, or both and add an eye-catching glisten to your jewelry-making projects. You'll find high-quality sterling silver and gold-filled options. 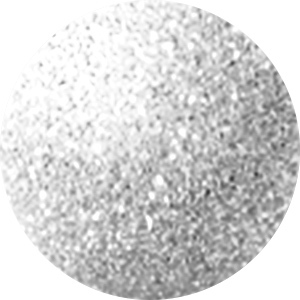 Add a gorgeous shine to your designs with this 3mm round seamless sterling silver bead. This bead has a stardust finish, which makes it sparkle as if it was covered in glitter. It features a 1.2mm hole. Try adding it to earrings designs as an accent or use it as a spacer in a sophisticated bracelet design. This bead would look excellent with glass or Swarovski crystal components. This stardust bead is laser cut to create a pave style finish. The result is a beautiful sparkle instead of a uniform shine. Try these stardust roundel beads to frame colorful crystal or glass beads in a pair of earrings or in a bracelet design. You can also use them with other silver components. The versatile coloring will work with any color palette. This dainty stardust bead is a delightful accent to add to fancy jewelry designs. The texturing on the bead makes it glitter in the light. Add it to jewelry designs as a fun spacer bead. You can also string it onto a head pin with Swarovski crystal beads for a fun dangly pair of earrings. This 2.5mm sterling silver seamless round bead has a beautiful stardust finish that will add a spectacular touch of shine to your designs. Use them in earrings, bracelets, necklaces, or around the house for a touch of dazzling beauty. Unlike silver-plated, 0.925 sterling silver avoids chipping and scratching, and lasts longer. Combine these beautiful beads with Swarovski crystals for gorgeous, dynamic works of art that sparkle and shine. Enhance designs with the glittering beauty of this 1/20 14K rose gold-filled 3mm stardust round bead. This bead is perfectly round in shape and the surface is textured as if it were covered in glitter. It sparkles with coppery color full of luxury. Use it to dress up classic looks or try it in more contemporary designs. It would work well with copper components or other rose gold components. This bead features a tiny size that you can use as a spacer in all kinds of designs. Add entrancing sparkle to your designs with the 1/20 14K rose gold-filled 3mm stardust roundel bead. This bead features a classic roundel shape that will add a thin band of color to your designs. The surface is textured, appearing as if it is covered in glitter. It shines with a blushing copper glow tinged with gold. Try using this bead with copper components or other rose gold components. This bead features a tiny size, perfect for use in delicate designs.